The journeyman veteran Jason Vargas is one of the many veterans the New York Mets signed this past offseason. He starts the year on disabled list but his return is coming soon. The Florida Marlins drafter Vargas in the 2nd round of the 2004 MLB Draft. Vargas skyrocketed through the minor leagues and was called up in 2005. Vargas had a solid 13 starts and put up a 4.03 ERA, but struggled mightily in the 2006 campaign. In 43 innings he had a 7.33 ERA and had more walks than strikeouts. After 2006, the Marlins traded Vargas to the Mets with pitchers Adam Bostick for pitchers Matt Lindstrom and Henry Owens. Vargas only made two starts in his first stint with the Mets and they were dreadful. He pitched 10.1 innings, allowed 14 runs and 4 home runs. After the season he had a bone spur removed from his elbow in October, followed by surgery for a torn labrum in his left hip. The Mets packaged Vargas with six other players sent to the Seattle Mariners in a three-team trade between them and Cleveland Indians. He spent the entire 2008 season recovering from his injuries. Vargas made his Mariner debut in 2009 and pitched to a 4.91 ERA, splitting time in the bullpen and rotation. He earned a rotation spot in rotation in 2010 and made 31 starts with a 3.78 ERA. Vargas built off that year in 2011 by pitching over 200 innings for the first time in his career. His 2012 season was his best with the Mariners. He had career highs with 217.1 innings, 14 wins and 141 strikeouts. The Los Angeles Angels acquired Vargas for Kendrys Morales after the 2012 season. Unfortunately, he missed almost two months with a blood clot in his armpit but still made 24 starts and pitched to a 4.02 ERA. Vargas signed a four-year, $32 million contract with the Kansas City Royals in the 2013 offseason. He proved to be a reliable starter for the Royals and had 11 wins with a 3.71 ERA. The injuries started to hit Vargas in 2015 and it limited him to only 43 innings which resulted in Tommy John Surgery. He only made three starts in 2016 but bounced back in 2017. Vargas pitched to a 4.16 ERA, won 18 games and was named an All-Star for the first time in his career. Vargas had a 2.62 ERA in the first half but it ballooned to 6.38 in the second half. He inked a two-year and $16 million deal with an $8 million option for a third year. He broke his hand on a comebacker in Spring Training but should be ready to go in a week or two. 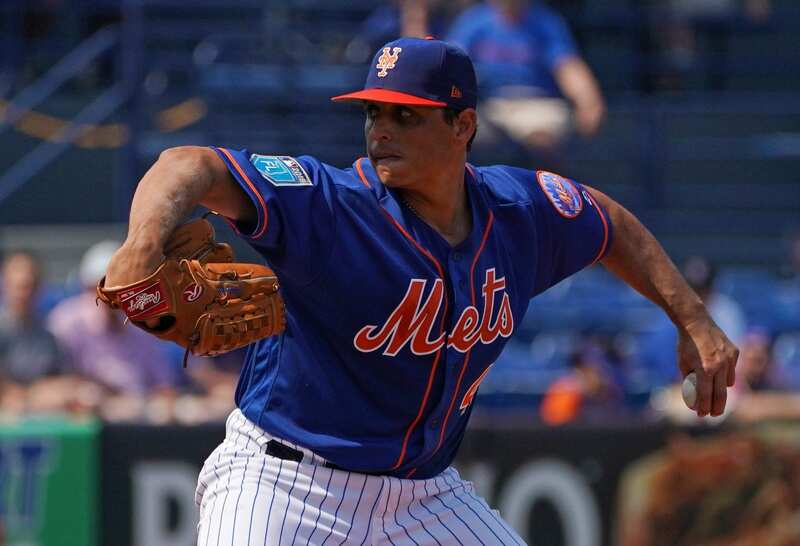 Vargas will likely replace Seth Lugo in the starting rotation when he returns. Vargas offers a veteran presence the Mets missed when Bartolo Colon left. He will take the ball every five days and gives his team a chance to win most of the time he goes on the mound. He is one of the few classic left handed pitchers in the game who uses all of his pitches and relies on contact to get batters out. Vargas has a fastball (87-90 mph), curveball (74-77 mph) mph, cutter (83-86 mph) and changeup (80-82 mph). Hi, My name is Daniel Marcillo. I am a journalism student at Stony Brook University. I am interested in broadcast journalism and it is a dream broadcast for the New York Mets, either on television or the radio. I am currently the President/Coach of Stony Brook University's Club Baseball Team.